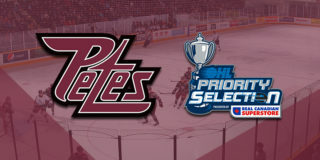 The Peterborough Petes will play the first of two consecutive three-in-three weekends this week. 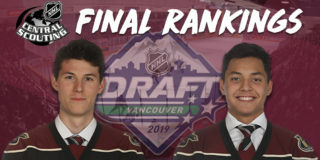 Ryan Merkley will face his former team as the Petes host the Guelph Storm on Thursday, January 17, followed by the Sarnia Sting on Saturday, January 19, with both games beginning at 7:05pm. Thursday’s game is proudly sponsored by Real Canadian Superstore. They’ll be giving coupons for 5,000 PC Optimum Points, as well as giving four lucky fans a chance to compete for 500,000 PC Optimum Points in an intermission shopping cart race. 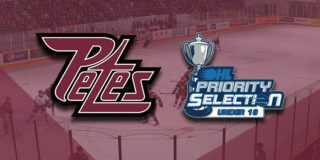 The Petes will also welcome and recognize members of local unions throughout the night. A fundraising chuck-a-puck will support the Girl Guides of Canada. Saturday is CIBC Fan Night, sponsored by the Official Bank of the CHL. The first 1,000 fans through the doors will get the chance to take part in the CIBC Winning Goal Contest and a shot at a $500 cash card. A fundraising chuck-a-puck will support Warkworth Minor Hockey. The national anthem will be performed by students of Lakefield College School. Tickets for both games are available through the Baker Tilly Box Office in person, over the phone at (705) 743-3561, and online. 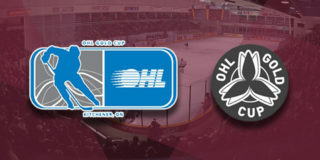 The Petes will visit the Ottawa 67’s on Friday, January 18 at 7:00pm. There are only four games left to take advantage of the Petes Holiday Flex Pack. For just $59.99 (tax included), fans will receive two Petes holiday mugs, two $2 Tim Hortons Tim Cards, and four flexible ticket vouchers to be used for any remaining Petes January home games. The regular price of this package is $118, which means fans save almost 50% on the special offer. Contact Mike at (705) 743-3681 x 263.